Bible Review - What have you learned so far? Time for Bible Review - What have we learned so far? Creation: God is above all, and Jesus was with God in the beginning. 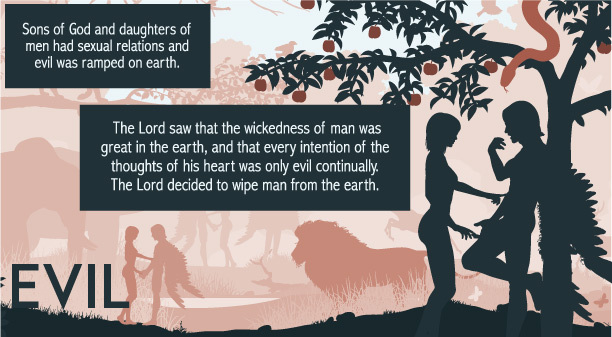 Fall of man: God made man in His own image and saw that he was very good. He created woman from man's rib. Man and woman disobeyed God. Sin entered the world by deception of the fallen angel, Lucifer/Satan. Life has a rough start as evil enters the world so badly that God grieves for ever making man. But one man found favor with God... Noah. 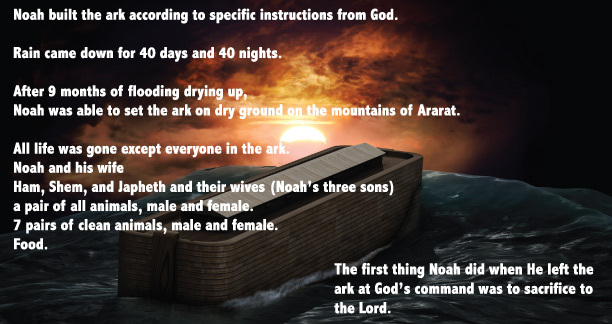 God destroys the earth and every living thing except Noah, his wife and 3 sons and 2 of every kind of animal, male and female, and 7 pairs of clean animals, male and female by way of the ark. After the flood and Noah and his sons live on dry land, Noah becomes drunk from his vineyard. Ham sins against God by seeing his father naked (Scripture doesn't go into detail.) Noah curses the lineage of Ham's son, Canaan. God is just and holy. God is gracious and finds favor by the way of faith in Him. Sin has to be paid for through sacrifice. The ground has been cursed. Man and woman are cursed. This is due to disobedience. But, God has made a way, a redemptive plan, and he gives insight even in the curse. Jesus is revealed when God curses satan saying that the offspring of the woman (Jesus) will crush the head of the serpent (satan). And satan will strike Jesus' heel. This is an insight to the redemptive work of Jesus Christ on the cross. Main point to gather: Trust in Jesus as your savior, as He is the ultimate sacrifice for your sins. Find favor with God through faith. 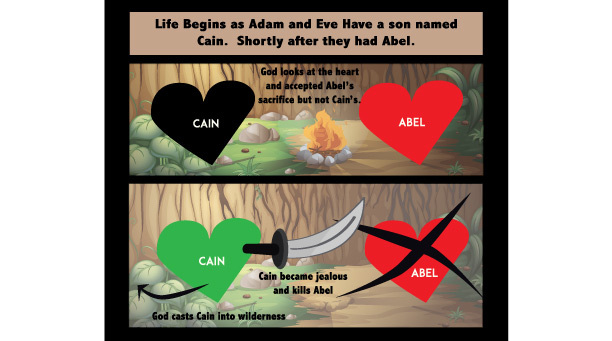 Getting back on track with Genesis 10 with some genealogy of Noah's 3 sons.